Wild ARMs was never a really an explosive franchise, usually hanging out in the footnotes of the JRPGs revolutionary era. It does have its fans though, famous for doing the science fiction/western motif years before Firefly and many other fan-favorite series to follow that path. I remember Wild ARMs because it was the first JRPG I played on the PlayStation, one of the mythical four that launched on the console before Final Fantasy VII. The first game is best remembered for its three heroes' unique abilities both on the battlefield and on the map, its soundtrack that towers over anything Final Fantasy VII has to offer, and its boundary-pushing anime intro. The first game is also the only one I've played. I'm sorry. Hard to believe this was all twenty years ago, but it's true. 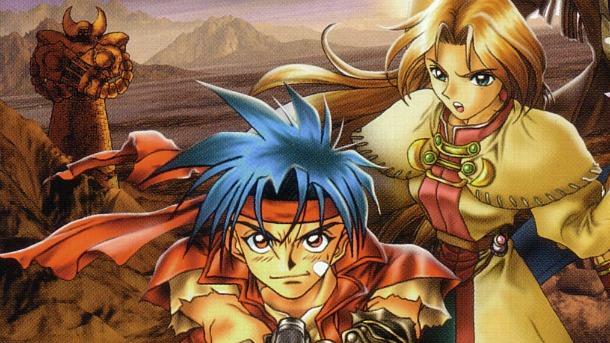 Wild ARMs launched on Dec. 20, 1996, and in all this time, we've seen four main entries, a portable spin-off, and a remake of the first game, all developed by Media.Vision. Series creator Akifumi Kaneko also says that the series isn't over yet, teasing that he wants to return to the series for its 20th anniversary! "So anyway, I'm just getting back from a Wild Arms meeting. The participants included myself, Naruke-san [composer Michiko Naruke] and everyone's favorite promoter, Nishijima-san [Taku Nishijima of Sony]." "It was a night full of emphasis on 'this is the series' 20th anniversary, man!'. It was certainly cold outside, but we were definitely getting heated up." Wow, how do you handle an anniversary game for Wild ARMs? Much like Final Fantasy, the series features new stories and new characters every time. Do you go for an original plot, or do you take it back to basics with the three original characters? One thing for certain is that you need a killer anime intro. Gotta splurge a bit of the budget on that, Media.Vision. I'm a casual fan of the series, only having ever played the first. If I were to explore more, which is the best outside of it?